Reginald Ballard was born on the 13th October 1965, in Galveston, Texas USA, and is an actor and comedian, best known for his roles in such movies as “Menace II Society” (1993), “Thick as Thieves” (1999), and “Horrible Bosses” (2011). 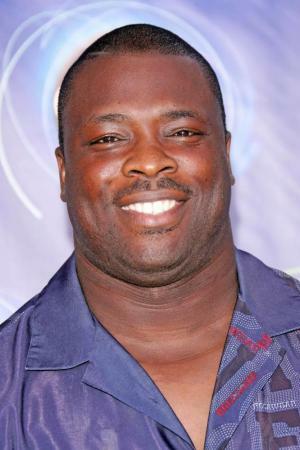 Ballard also played on TV in “The Bernie Mac Show” from 2001 to 2006. His career started in 1990. Have you ever wondered how rich Reginald Ballard is, as of early 2017? According to authoritative sources, it has been estimated that Ballard’s net worth is as high as $1 million, an amount earned through his successful acting career. In addition to playing both on television and in films, Ballard also works as a stand-up comedian, which has improved his wealth. Reginald Ballard grew up in Texas, where he went to the Ball High School, playing as a linebacker on the football team, and then earned a full football scholarship to Southern Methodist University. Along with playing football, Reginald also studied theatre in college, and later transferred to the University of Missouri, where he continued to be active in both acting and playing football. However, Ballard decided to pursue an acting career, so in 1990 he debuted in a Golden Globe Award-winning series “The Trials of Rosie O’Neill”, and then played in five episodes of “True Colors” in 1991. He continued with “Class Act” (1992) and “Menace II Society” (1993) starring Tyrin Turner, Larenz Tate and Samuel L. Jackson, while in 1994 Reginald appeared alongside Joe Pesci and Christian Slater in Barry Levinson’s “Jimmy Hollywood”. From 1993 to 1995, Ballard played in 13 episodes of “Martin” starring Martin Lawrence, and then he had roles in Mario Van Peebles’ “Panther” (1995) and in “Thick as Thieves” (1999) with Alec Baldwin, Andre Braugher, and Michael Jai White. His net worth was well established. In 2001, Ballard began working on the Golden Globe Award-nominated TV series “The Bernie Mac Show”, and subsequently appeared in 36 episodes until 2006. Meantime, between 2003 and 2004, he made guest appearances in numerous TV shows, including “ER”, “Las Vegas”, “NCIS” and “Veronica Mars”. In 2009, Reginald starred in the movie “The Mail Man”, and then played in such series as the Primetime Emmy Award-nominated “Bones” (2010) and the Golden Globe Award-winning “Weeds” (2010), all of which contributed steadily to his rising net worth. Most recently, Ballard worked in “King of the Underground” (2011) starring Dex Elliott Sanders, in “Horrible Bosses” (2011) alongside Jason Bateman, Charlie Day and Jason Sudeikis, and starred in “Kony Montana” (2014). He will play Tywaan in the upcoming TV series “86 Zombies”, which will be aired from 2018. Regarding his persona life, Reginald Ballard is married, has two children, and currently resides in Pasadena, California. 1 Friends with Bernie Mac. The Bernie Mac Show 2001-2006 TV Series W.B.